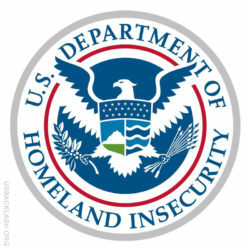 The United States Department of Homeland Security (DHS) is responsible for a multitude of activities, including anti-terrorism, border security, immigration and customs, cybersecurity, and disaster prevention and management. It was created by combining many individual agencies as a response to the September 11 attacks. The DHS is made up of 7 agencies and many other components and advisory groups with more than 240,000 employees. Created after the terrorist attacks on 9/11, the Department of Homeland Security is charged with handling any threats our nation may face. It is also house the Federal Emergency Management Agency (FEMA), which is charged with responding to natural disaster. Since its inception as a combination of several existing agencies, DHS has struggled to create a unified mission across all of its disparate responsibilities, handling anything from the coast guard, to law enforcement issues to disaster relief. An agency that has been pegged with having excessive overhead costs should be streamlined to fit today’s efficiency standards. In addition, Congress and DHS should seriously evaluate all DHS programs and priorities.